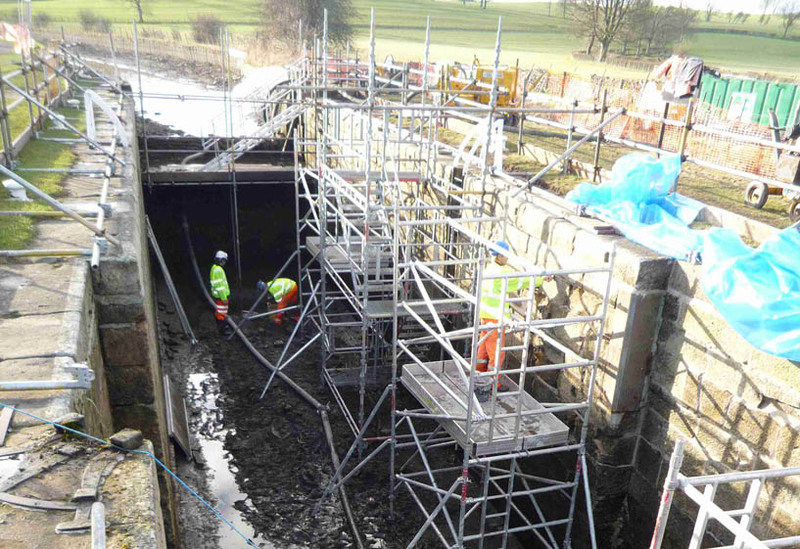 With a multi skilled workforce, Condor Projects Ltd has all the necessary skills in house for the complete maintenance and repair of canal locks. 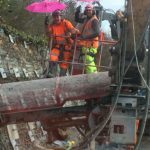 From pressure pointing and the replacement of brick, through to the reconstruction of stone banks and approach walls or to the drilling and grouting of the chambers, walls and floors, Condor Projects Ltd can offer the complete package. Unique to Condor Projects Ltd, we have developed a system for the repositioning of stone blocks within the locks that have been pushed back by boats over the past 200 years of operation. Once pulled back out to the correct alignment, the voids and joints are re-grouted to ensure the block stays in the correct position. Unique to Condor Projects Ltd, the portable coffer dam allows working in the lock without the costs and inconvience of emptying the canal or installing a portable dam, saving both time and money.